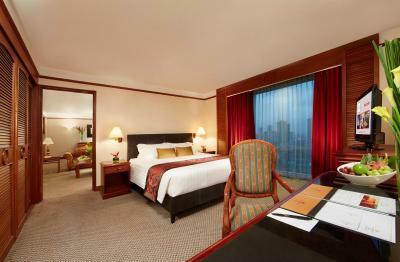 Lock in a great price for Millennium Hotel Sirih Jakarta – rated 8.2 by recent guests! 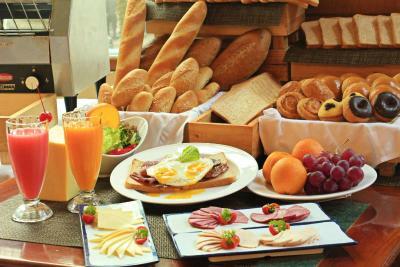 The breakfast menu is various and delicious. My favorite part in this hotel is the garden on the 4th floor next to the swimming pool. It feels refreshing to have a green area in the middle of the crowded city. The bed was so comfy. Overall I like everything mostly in this hotel. 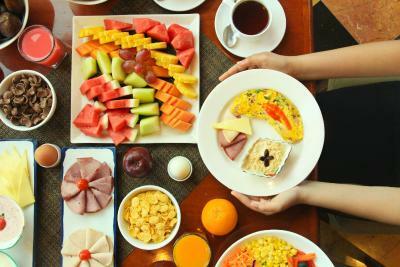 The room was spacious, and the breakfast buffet was fantastic. mostly everything. 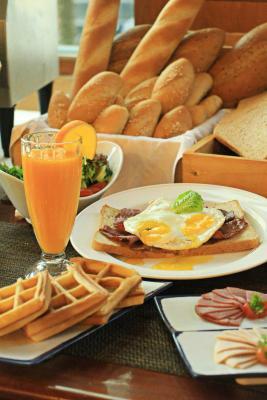 Its near to the grand indonesia. Location is around busy area but totally ok for A business traveler like me. food is very tasty. Staff is so friendly. Hotel is very clean. House cleaning is very fast. 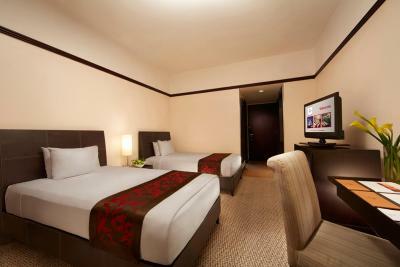 Specially they offer good prices for rooms. I like that hotel. 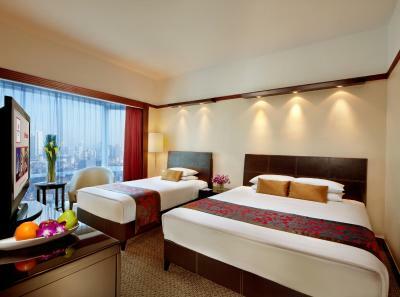 Millennium Hotel Sirih Jakarta This rating is a reflection of how the property compares to the industry standard when it comes to price, facilities and services available. It's based on a self-evaluation by the property. Use this rating to help choose your stay! 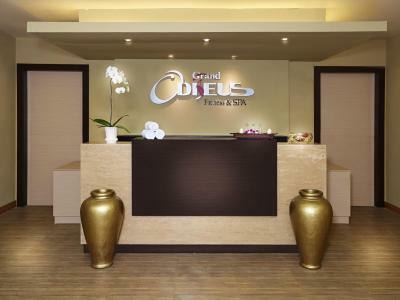 One of our top picks in Jakarta.Located in the heart of Jakarta, just a 5-minute drive from M.H. 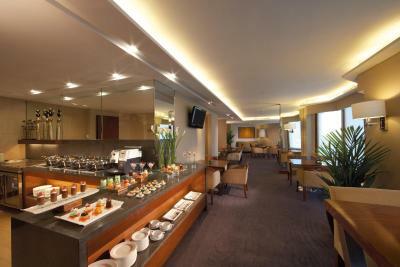 Thamrin Street, the 4-star Millennium Hotel Sirih Jakarta offers modern rooms with satellite TV. 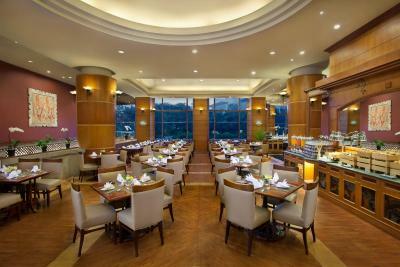 A 15-minute drive from Gambir Train Station and a 10-minute walk from Tanah Abang, it provides free private parking and four dining options. Free WiFi access is available. The rooms offer either city or pool views. 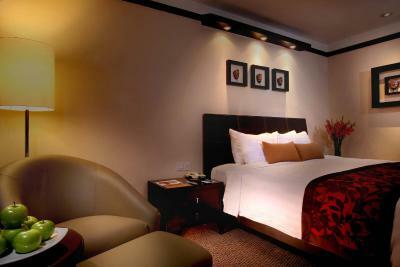 All rooms are air-conditioned and come with a satellite TV, mini refrigerator and tea/coffee making facilities. 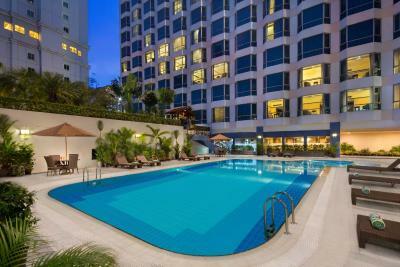 Relax in the hotel’s garden surroundings or take a dip in the outdoor swimming pool. 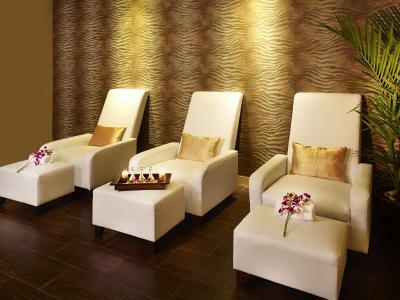 Other recreation facilities include a fitness center and spa. 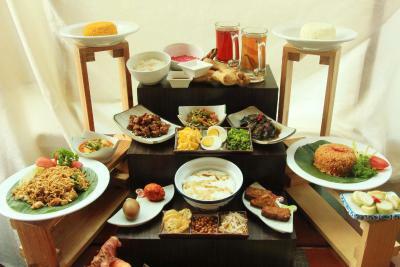 For dining option, the on-site Cafe Sirih offers a variety of Indonesian, Chinese and international dishes. 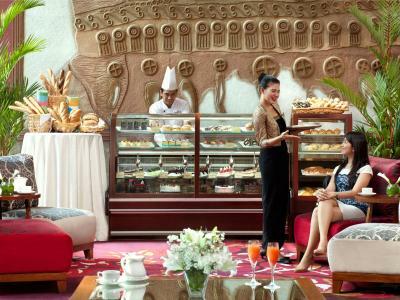 Guests can also enjoy specialty coffee, tea, pastries and sweet at the Art & Bakery Corner. 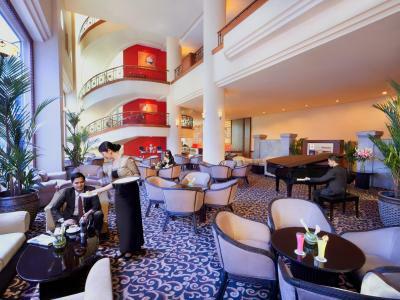 The Lobby Lounge serves cool and refreshing beverages. 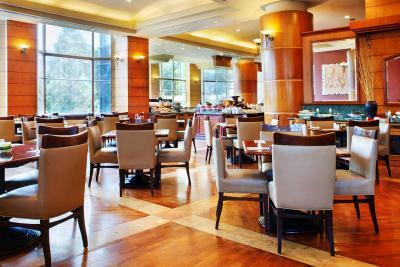 Further dining options can be found at Sabang Street, just a 5-minute drive away. 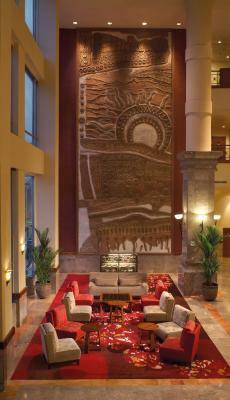 Free scheduled shuttle service to nearby major shopping centers is available daily. The iconic National Monument and presidential palace are a 10-minute drive away, while the National Museum is a 5-minute drive away. 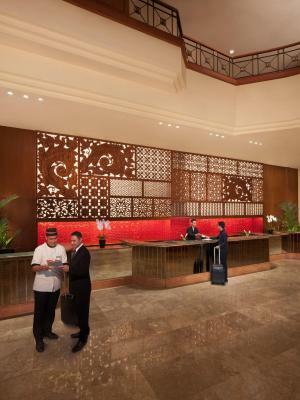 Millennium Hotel Sirih Jakarta is a 40-minute drive from Soekarno-Hatta International Airport. 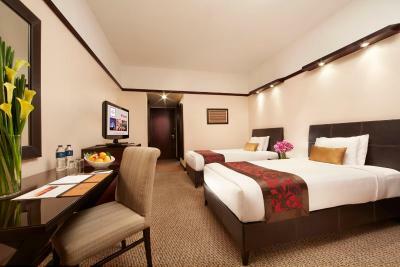 When would you like to stay at Millennium Hotel Sirih Jakarta? 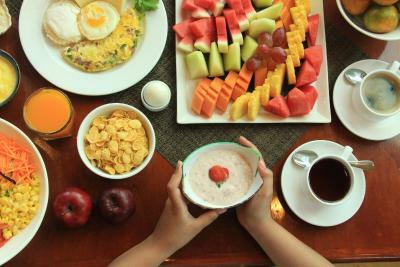 This modern and air-conditioned room comes with convenient amenities like a satellite TV, mini-bar, a personal safe, as well as tea/coffee making facilities. The private bathroom features a shower. Located on the 9th - 13th floor with either city or pool view, this air-conditioned room comes with exclusive amenities like free wired internet access, satellite TV, mini-bar, tea/coffee making facility, and a personal safe.The attached private bathroom features shower facility. 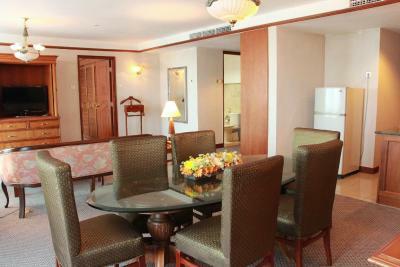 Located on the 14th and 15th floor of the property, this air-conditioned room comes with modern amenities like flat-screen satellite TV and mini-bar. 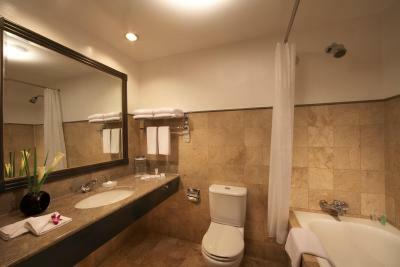 The private bathroom features bath or shower facility and free toiletries. 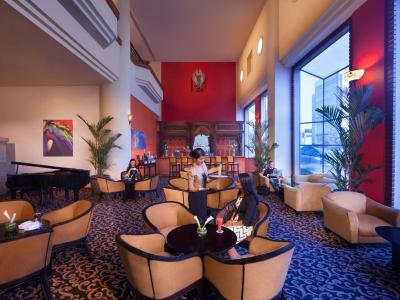 Guests can enjoy exclusive access to the Club Lounge which offers a private area to relax and enjoy daily breakfast, all-day refreshments and evening canapes. 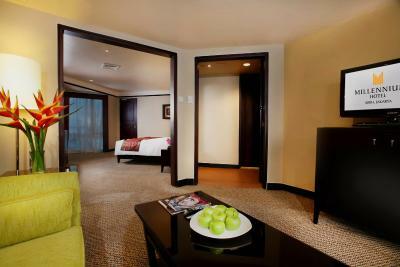 This spacious suite comes with a separate living area with a sofa and a flat-screen satellite TV. 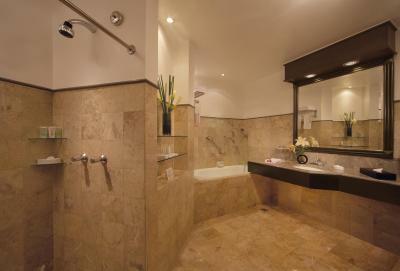 The private bathroom features separate bath and walk-in shower facility. This spacious family room comes with modern amenities like flat-screen satellite TV, mini-bar, air conditioning, tea/coffee making facility. 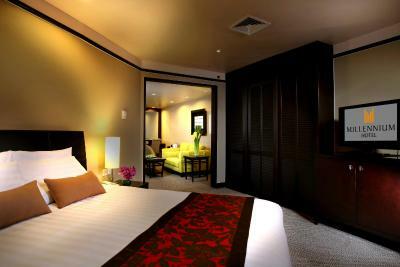 The private bathroom has bath or shower facility and free toiletries. 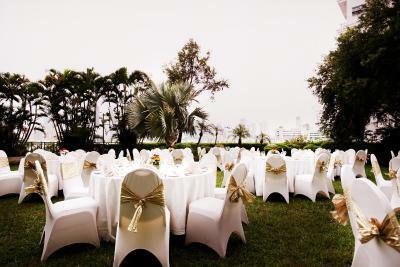 Guests can enjoy either city or garden and pool views from the room. Offering either city or pool view, this air-conditioned room comes with exclusive amenities like free wired internet access, satellite TV, mini-bar, tea/coffee making facility, and a personal safe.The attached private bathroom features shower facility. Featuring a floor-to-ceiling windows overlooking the city, this 94-sqm suite comes with a separate seating area, a dining room and a kitchenette. 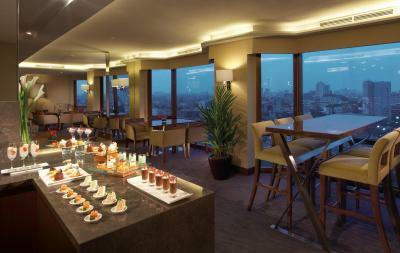 Guests have access to the Club Lounge to enjoy continental breakfast, refreshments and evening cocktails. 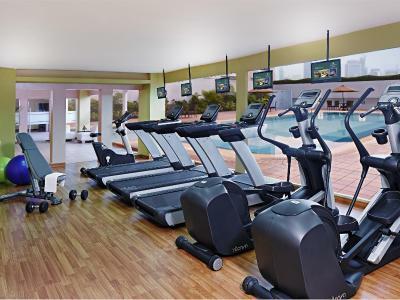 Maintaining a healthy lifestyle is easy with our fitness center, which is fitted with a whirlpool, sauna and steam rooms. We also have outdoor swimming pool designed for both laps and leisurely swims, as well as offer relaxing in-house spa treatment. 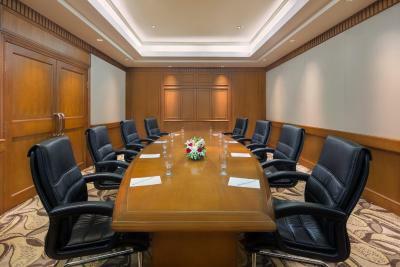 House Rules Millennium Hotel Sirih Jakarta takes special requests – add in the next step! 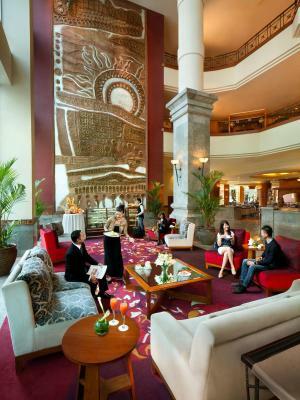 Millennium Hotel Sirih Jakarta accepts these cards and reserves the right to temporarily hold an amount prior to arrival. Shower in bathtub Hotel is getting old in every way. Club lounge not open all day like advertised. 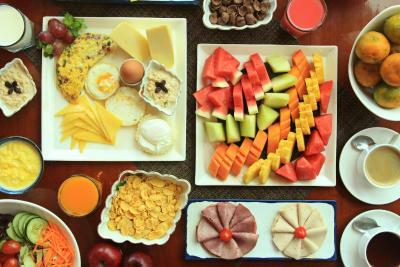 No breakfast as advertised in the lounge. Limited opening hours now. Everything. Great place to stay. I don't like the smoking area provided in the garden on the 4th floor. The bed so comfy but the way they wrap the white cover over the brown blanket was not neatly. 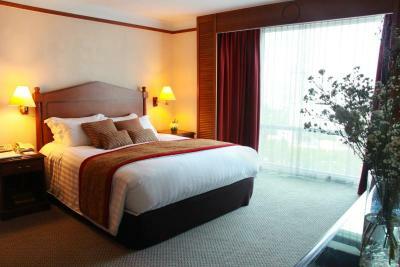 I suggest this hotel not to use the old brown blanket anymore, should be replaced with the white thick blanket only. I like when the receptionist told me that this hotel was just only provided a non-smoking room, but I wonder when I reach my 10th floor I could smell cigarettes smoke along the aisle. The spa was a bit misleading. 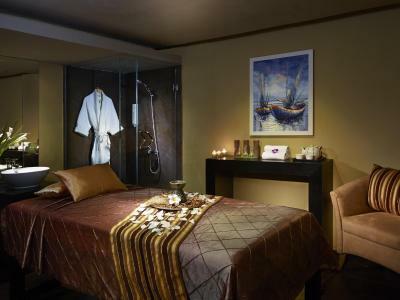 We went at night and booked a 90 minute scrub and massage, took them about 15 minutes to get the masseurs to come in, and the whole massage + scrub session was less than an hour. 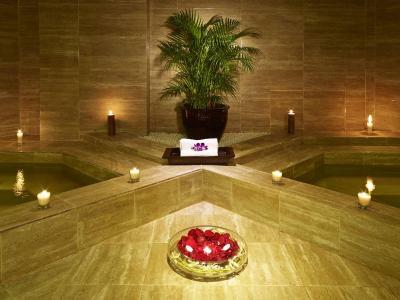 And the spa room was super cold it’s impossible for anyone stay in the room for more than 30 minutes. Masseurs weren’t professional too - massage was not done properly and they watch you change in the room which was super uncomfortable. The hotel was clean and nice overall. We had a great stay! Especially after having a negative experience at our precious hotel. We arrived in the evening. The staff was very friendly. They gave us a free upgrade. we felt very welcome during our entire stay. Rooms were a little outdated but this didnt bother us. We forgot our Gopro camera when we checked out. A few days later we received an email about the camera. 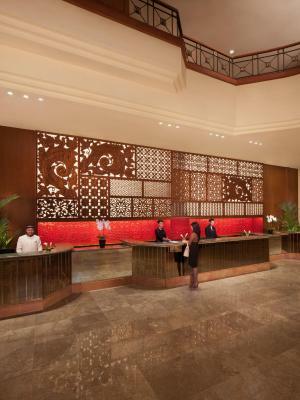 We are very happy with their service and would stay here the next time if we are in Jakarta. Would recommend this hotel! the facilities and cafe were good. 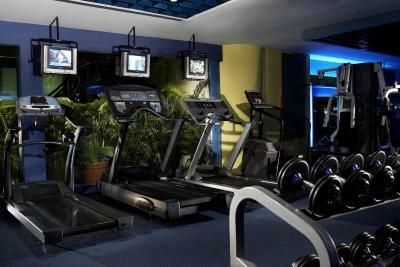 Gym and swimming pool are well equipped.